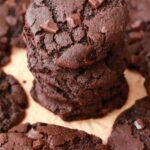 Deliciously satisfying double-chocolate vegan chocolate cookies! Quick and easy, crunchy and soft, perfect for satisfying all your chocolate cravings. 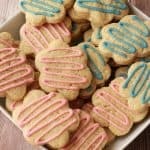 What I love about cookies is that they’re so easy and quick to make. 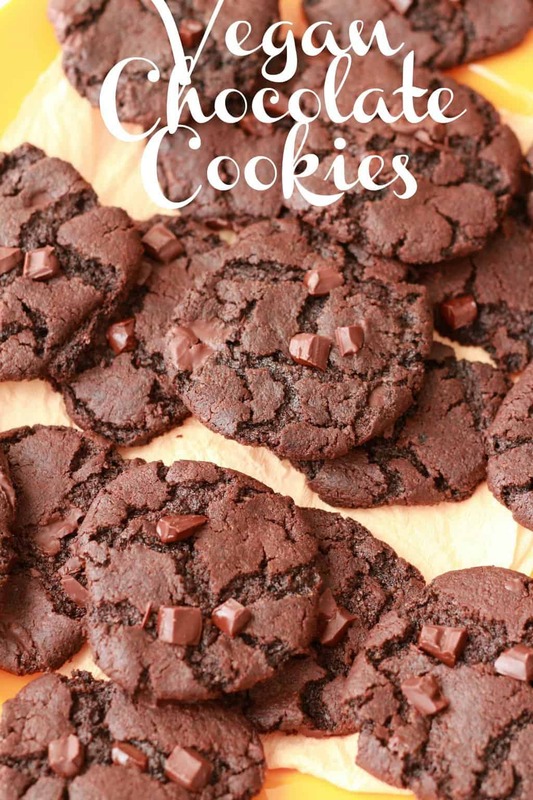 These vegan chocolate cookies bake in 10 minutes! I mean really! So if you’re in the mood for a batch of cookies there’s really not a lot standing between you and a tray of warm chocolate cookies straight from the oven complete with melting chocolate. And what’s better than vegan chocolate cookies? 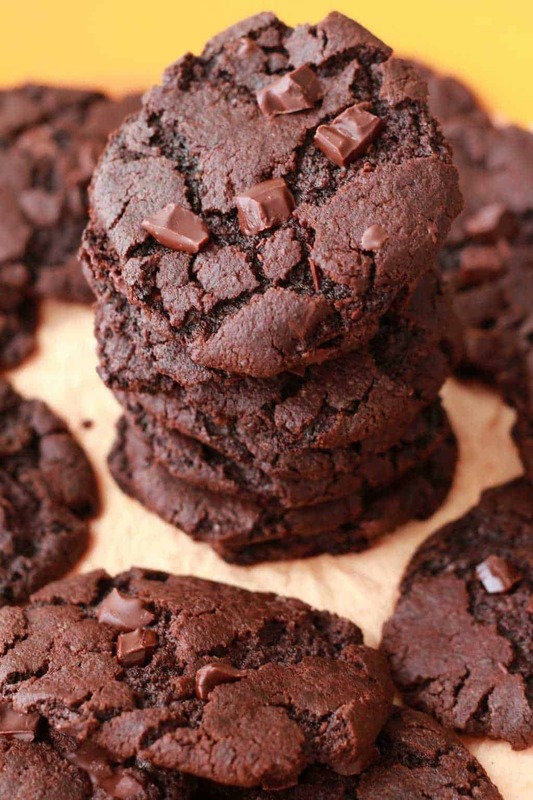 Double chocolate cookies! I couldn’t resist adding chocolate chunks to these cookies. And aside from what’s baked into them, as soon as they came out of the oven, beautifully warm, I placed a few more chocolate chunks right on top. 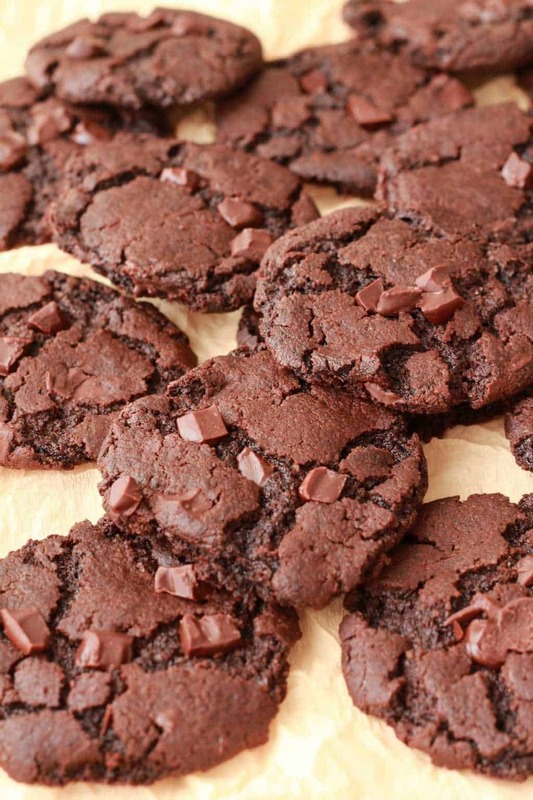 Because you can’t get too many chocolate chunks in your chocolate cookies. As you can see from the photos below, the cookie dough is pretty dry. This is exactly what you want. The result is a chocolate cookie with the perfect amount of crunch and the perfect amount of softness too. I found the cookie dough to be so perfect that it just rolled into perfect balls. However, if your dough is a bit sticky, just dust your hands with some cocoa powder, it’ll do the trick. If you keep them in a covered container, they easily last up to a week! 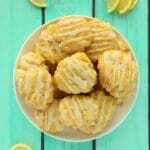 So let us know in the comments what you think of this recipe and please leave a rating too, it’s so helpful. Thank you! And lastly, don’t forget to sign up to our email list – you’ll get an awesome free ebook containing 10 gorgeous recipes, and you’ll keep up to date with all our latest recipes! 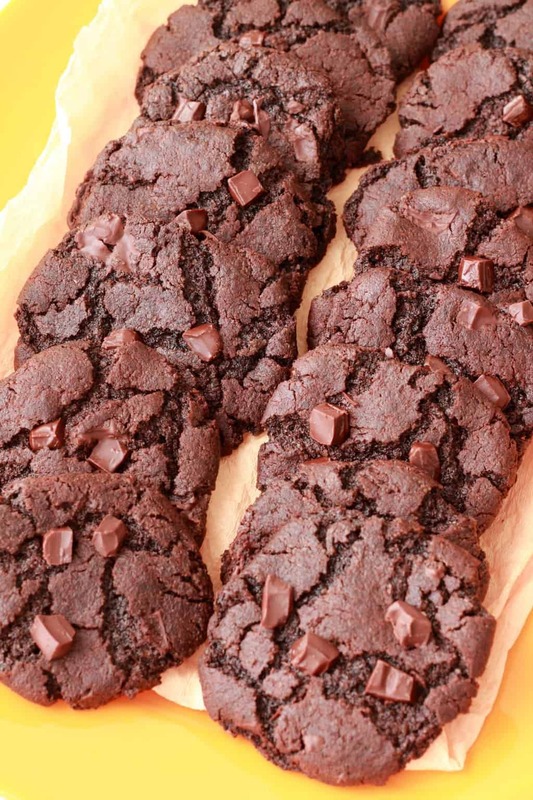 Deliciously satisfying double-chocolate vegan chocolate cookies! 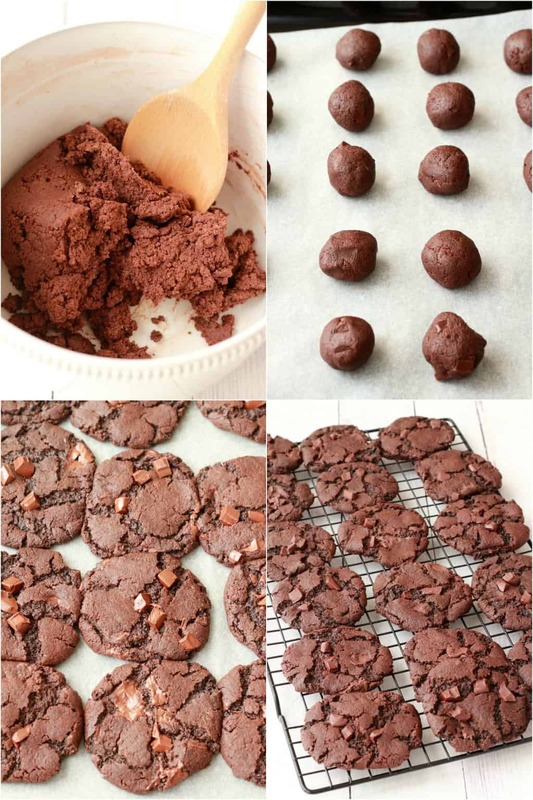 Both quick and easy, crunchy and soft, these cookies are perfect for satisfying all your chocolate cravings. Add the vegan butter and brown and white sugar to an electric mixing bowl and cream together. Add the vanilla and mix in. 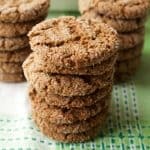 Add the 1 Tbsp soy milk or other non-dairy milk and mix into a thick cookie dough. 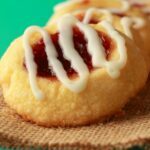 Roll into small balls and space evenly on a parchment lined baking tray. Press in a few more chocolate chunks to the top of the cookies as they come out of the oven if you like (optional). *You can use vegan chocolate chips instead if you can find them, I can’t get them here which is why I cut a slab of dark chocolate into chunks. Also, this way you get to use nice big chunks of chocolate! *Depending on the brand of vegan butter you use, you may need 1 or 2 more tablespoons of soy (or other non-dairy) milk. But be patient with each addition of soy milk, stir well and see if you really need more. It is supposed to be a very thick, crumbly cookie dough. But if you try and roll a section into a ball and it just won’t hold together, then you’ll need a little more. Most soft spread-style vegan butters/margarines won’t cause any issue, I’m talking specifically about the hard blocks that you get (and occasionally you can find one without animal products), if you use one of these, you’ll likely need a bit more soy milk, but just use as little as possible. 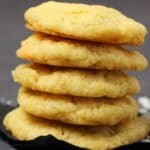 *If you peep into your oven at the 10-minute mark and see that your cookies haven’t spread very much, you can bake for a couple of minutes longer. But even if they are quite puffy on the top, this is fine and goes down as they cool. Hi. This recipe sounds great. I just wanted to know can I cut the dough into shapes? You probably can. 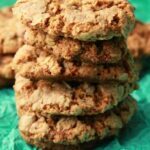 I haven’t tried it with this recipe, and I don’t know if the chocolate chips would interfere with that at all, but it’s definitely something to try! This recipe good for chocolate lovers who love to diet…i tried it the other day…very yummy..